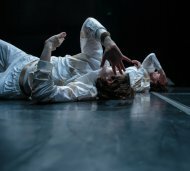 a discursive forum, focusing on the Croatian contemporary dance collective BADco. In the framework of the CoFestival. * Host event. Not part of the Aksioma Institute production programme.